Local women’s and men’s specific roles, rights, responsibilities, as well as their specific use patterns and knowledge of forest resources, shape their experiences differently. This is true in case of their experiences with climate change as well, and therefore, climate change mitigation mechanisms such as, sustainable forest management and REDD+ (Reducing Emissions from Deforestation and Forest Degradation and sustainable management of forests and enhancement of carbon stock) are only successful when all the forest users and managers, including women, are equally included in decision making process and their interests and needs are taken into account. Women are particularly more susceptible to the impacts of climate change. Declining water supplies, climate variability, climate induced natural disasters, pest outbreaks, changing precipitation patterns, and change in crop production, not only challenge the accomplishment of their day to day responsibilities, but also make them more vulnerable, as they lose their means of livelihoods. Despite some well documented studies on extensive knowledge, skills and hands on experience of women on use and management of forests in particular, and natural resources in general, current debate on REDD+ mechanism is yet to integrate existing knowledge and forest based specific needs and aspirations of women in REDD+ planning and policy processes. This is partly due to limited understanding and knowledge of the stakeholders on REDD+ in general, and particularly, those who work on gender issues in natural resource management sector. 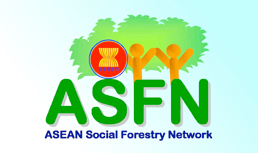 Thus, a lack of capacity among the key stakeholders is proving challenging to bring in gender relevant issues and concerns into the socio‐political debates on forest based solutions to climate change. Lack of integrating gender issues in REDD+ debate will have adverse consequences in the long run by ignoring specific needs and aspirations of women, and thus pushing them further in a periphery, adding to their vulnerability and depriving them from the potential benefits of REDD+ initiatives. 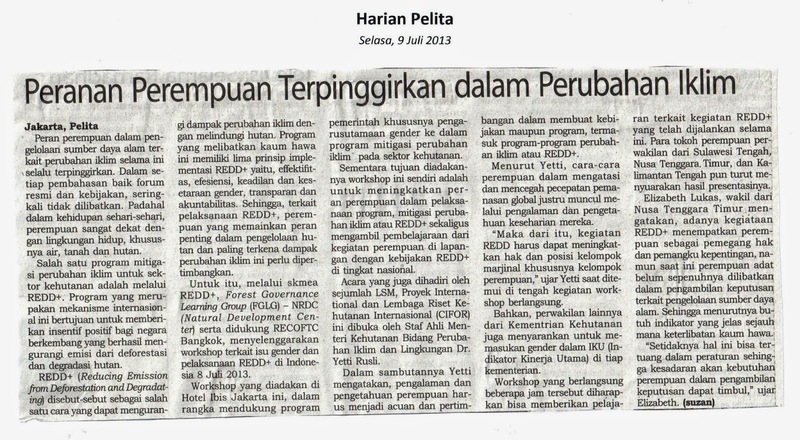 Capacity building and knowledge enhancement on REDD+ with special reference to gender perspective and recognizing women as one of key stakeholders in planning and decision making process is one of the ways to have gender inclusive sociopolitical debate on REDD+. Acknowledging this fact, FGLG (Forest Governance Learning Group) Indonesia NRDC (Natural Resource Development Centre) supported by RECOFTC Bangkok is organizing a one day expert workshop focusing on sharing and learning of existing policies, and practical experiences on gender inclusive approaches in forest management/REDD+. The workshop seek experts opinions on how this can be further strengthened, particularly in view of importance of forests in addressing climate change mitigation through REDD+ mechanism in Indonesia. 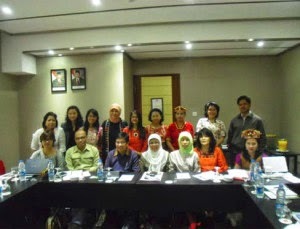 To identify key issues, challenges, and gaps for inclusion of women as effective stakeholders in forest based climate change.To discuss the approaches and methods in addressing identified challenges and opportunities for gender responsive capacity building initiatives at different levels, and communicate them widely in climate change discussions and policy processes in Indonesia. The panel discussion moderated by Bhawana Upadhyay gender and rights expert and the grassroots capacity building for REDD+ project team of RECOFTC.The expert panel includeed 5 expert panelists, including Dr. Bambang Suprianto gender champion from Ministry of Forestry , Linda Yuliani, from CIFOR, Laksmi Banowati previously Manager of UN‐REDD project , Yani Septiani, Convener of FGLG . They are working on gender, and in climate change and REDD+ issues in the country. The late afternoon session opened up for participants for clarifications, questions to the panelists and to share their feedbacks and learning.